Just got this caddy for my Precision workstation M4400. Installation of my spare drive into the caddy took less than 5 minutes. I popped it into the laptop and it was instantly recognized. The build quality, appearance, and functionality are indistinguishable from OEM. As a matter of fact, comparing it to the Dell DVD-ROM module, if anything, it is built better! 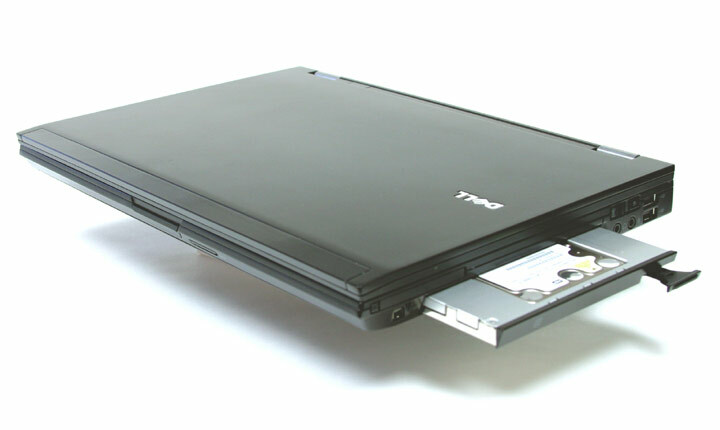 There are other caddy alternatives from Lenovo that sorta fit the Dell case, but they don't have the spring loaded "arm" that pops out and they don't fit the opening perfectly. NewmodeUS shipped the same day I placed my order and I had the caddy 2 days later. Plenty of communication by email all along the way. The only way I could be happier is it was a bit cheaper - 50 bucks is alot to pay for a caddy, but it does appear to be a premium product and like I mentioned earlier, service and delivery were top notch.